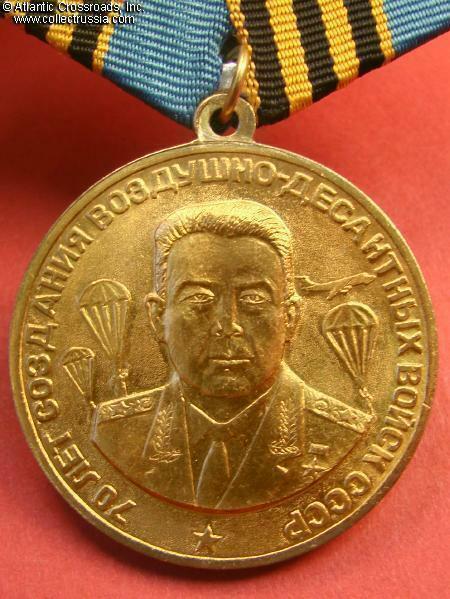 Soviet Airborne Troops 70th Anniversary Medal. 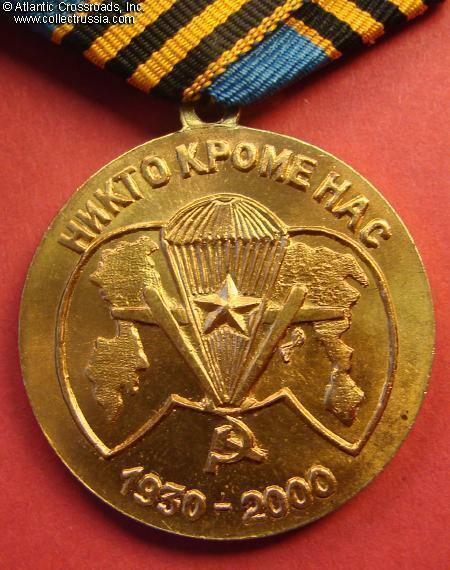 Reverse shows motto "Nobody but Us", and dates "1930- 2000". 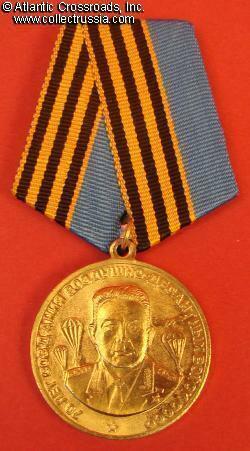 "Alternative" medal - not recognized as official award by the current Russian government. Excellent condition.